The Parks Committee is a council committee that is concerned with city parks. We deal with issues related to all parks that lie within the city. This includes maintenance and development of our park facilities, commercial permits within parks, and new parks. You have spoken! We took advantage of an old levy retirement to put on a park upgrade levy, that was passed in 2017. 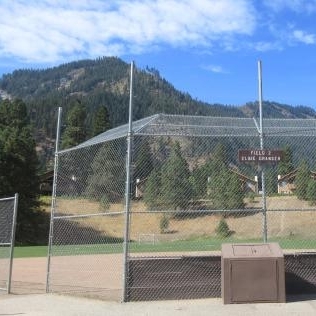 Over the next two years we will utilize that money to improve the sports fields in Enchantment Park - including fixing drainage issues and adding lighting. We will also replace the play structure in Waterfront Park with something fun and new! Look forward to some community outreach on this so your kids can tell us about what they like. Winter in the parks means our Parks Department is much smaller and focused mostly on helping out plowing sidewalks around town, keeping things clear, safe and lovely. We are on the look out for more parks for the residential side of town. With so many parks in and around the downtown area, we have heard our communities interest in parks in the neighborhoods. We are pursuing different ideas that take time and negociation for property acquisition. Parks are looking good these days with general maintenance going very well and some new electronic features the crew is playing around with. If you see them, say thanks for all their work keeping our parks lovely! Living to play and working for fun in Leavenworth!